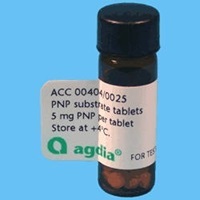 PNP substrate tablets are a component of a two part substrate system. 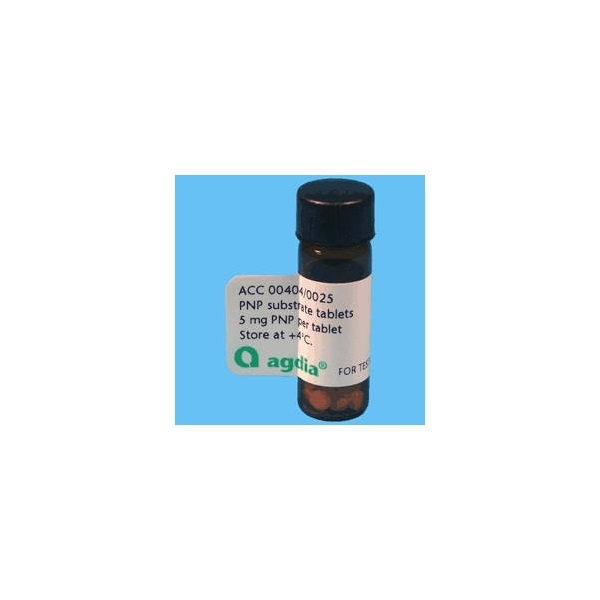 PNP tablets must be dissolved in PNP substrate buffer to prepare an active solution. Each tablet is 5 mg and much more convenient to use than powder form. PNP substrate solution is used with alkaline phosphatase labeled ELISA tests.